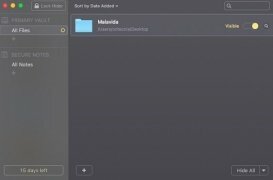 Not the only person using your Mac? Then you might want to keep your private information and files away from prying eyes. 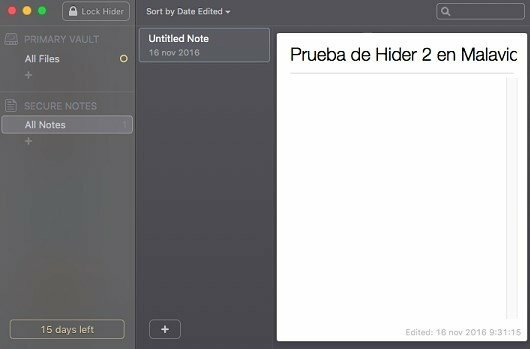 If so, if you want to hide your photos, videos, documents and other files, you need a tool like Hider 2. 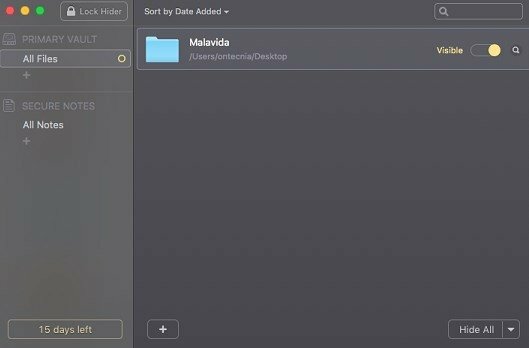 With this software, you'll be able to hide and protect with a password whatever files or folders you want. It's really easy as the only thing you have to do is drag and drop the elements you want to encrypt onto the program's interface. It's possibly one of the easiest-to-use encryption tools out there. 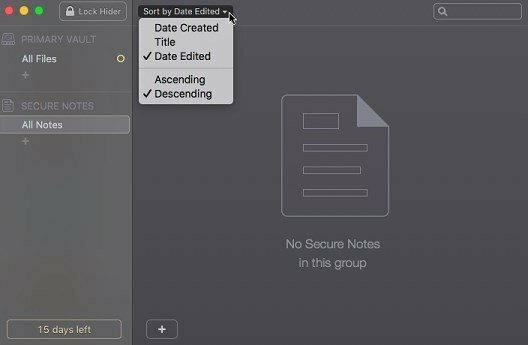 Only accessible for you: everything is kept separate from your searches with Finder and Spotlight. Create customized groups and organize your files. Use tags to locate the information. 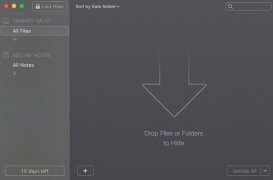 Hide and encrypt whole files in batches. 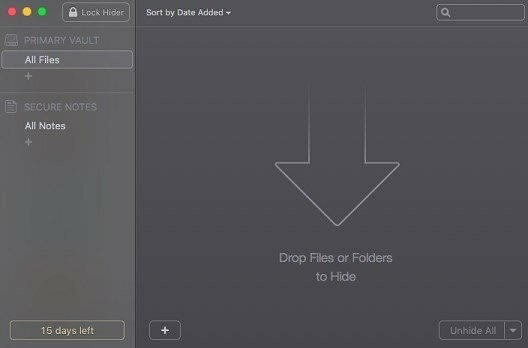 Shortcuts to your hidden files from the menu bar. 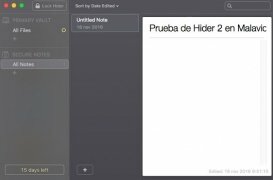 Hotkeys to block and hide files. This is a trial version that can be used for 15 days.